Welcome, Neopians, to the Wonderful World of Neopian Health, brought to you by the Neopian Hospital in Neopia Central. We have managed to get an exclusive tour of the Tyrannian Veterinary Clinic in Tyrannia, led by the resident veterinarian there, Pacha. We now go live to Tyrannia to meet up with Pacha himself, a former sufferer of the Tyrannian neopox strain who followed his recovery by dedicating himself to the nurturing of petpets. Note that all of the following is in Tyrannian, but our experts have deciphered the language so that we may understand it. Hello, friends. My name is Pacha, and I am a veterinarian. You know, I started taking care of petpets following my sickness. 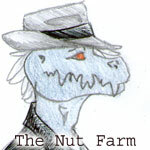 I was stricken by Tyrannian Neopox, a formidable strain that was dealt with by Dr. Chombasha, my mentor. His work inspired me to help others like he helped me. I love petpets, so I became the first veterinarian of Tyrannia. But I don't just nurse petpets back to health, I also sell them to loving homes to provide funds for my research and maintenance, provided that they do not belong to anyone prior. Once the petpets are healthy, I bring them to my shop where those seeking petpets come to see if these lovely creatures are just right for them. It always makes me feel warm and fuzzy to see a neopet and a petpet together, as good friends. Come, let us look at my clinic, which is right behind my shop. As you can see, it is very quaint. To you maybe it might be huge, but it is just fine for me. Over here is my lovely stone table where I examine my charges. I covered it with a soft fur to keep them comfortable. Nearby is my medicine cabinet, and over there in a separate room is the sick petpet facility. I don't like to keep petpets in cages, I like to give them as much freedom as I can. Those who are able to walk around and play are in the big communal pen, and those who are too sick stay in secluded areas, away from the others. When I think they are hale and healthy enough, I bring them over to the Tyrannian Petpet Shop. It is pretty big to accommodate the larger-girthed Neopians, and to contain all of the petpet pens! Now, here you can see the petpets playing. See those cards above the pens? They tell potential buyers the nature of those petpets, and what they eat. I have specialty cards right here. There are only ten petpets here today, some got bought earlier. These petpets are very wild and difficult to tame. They often require lots of meat, and they can bite if annoyed, as well as screech loudly. However, once tamed, they are very wonderful creatures. Every month they shed some feathers, and these brightly colored quills make excellent pens as well as necklaces and other decorations. Gruslens are small petpets with big fangs, and are recommended to neopets who are patient and also careful. Gruslens have luxurious coats that need to be combed and washed every few days to maintain their luster, and they have voracious appetites that can be satisfied with a delicious gargaraptor steak. Small and winged, these petpets are very loyal and will not fly away. Instead, they prefer to perch on arms or play with their owner, and can be bundles of never-ending delight. Airax are fragile and must be dealt with delicately. They prefer insects, but can also eat corn and meat. Also known less commonly as the ackosaurus, these petpets are wonderful friends that act like angelpusses and purr at their owners. An Acko's back plates should be polished once a week, as they are used to maintain a good body temperature. Ackos are not social, and prefer to eat ferns. The little known Rocks are wonderful petpets. They are very rarely found together, and no not need to eat. They are good at listening and never argue, and they can also keep your deepest secrets and will reveal them to no one. A good warning is to never put two rocks in one place, as they are fiercely territorial and will roll over one another to show dominance. Unlike most petpets, these adorable guys travel in large herds. They are highly sociable, and are herbivores that adore eating leaves. Woolypapiths have tendencies to get the infamous Tyrannian ticks, and therefore must be bathed every few days to prevent this. Woolypapiths are known to follow an owner wherever he or she goes. These medium-sized petpets have very strong teeth that constantly grow until they reach their second year. To keep them in check, Fangies must keep gnawing on things. Be ready to provide them with bones or leather to chew! Fangies love meat, and are sociable creatures that can be taught many tricks. These petpets are infamous for their venom, which can deal out a disease called Reptillioritus. Always be sure to handle them with thick gloves, and have an extra cactopus cream or two on hand. To tame them and prevent future bites, it is best to shout loudly or screech, as they shirk away from loud sounds. Krawks are the most highly sought after petpets, as they can turn into Neopets when taken to the Fungus Caves in Krawk Island. But if you prefer them as petpets, krawks are adorable and very peaceful. They love mushrooms, and are sociable in nature, but remember to give them a lot of space for exercise. Timid and shy, icklesaurs are often quiet and prefer to hide if you have guests. Don't make any loud or sudden movements, or you shall scare this poor petpet! It takes a while for them to get used to their new owner. No matter what you feed, icklesaurs will never grow bigger, however they have big appetites and love ferns and grasses. Leaves and flowers are extra special treats, but beware of poisonous varieties. 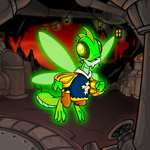 Of course, there are many other petpets that come or are brought here, like duocorns, ownows, uggatrips and magtiles, but I am out of cards and there are none in my facility other than those in their pens. Well, there is nothing more to see, so I hoped you enjoyed the tour. Remember, if you ever have a hurt or sick petpet, bring it to me and I will make it feel better. Thank you, Pacha, for this enlightening tour of your veterinary clinic. This is the Wonderful World of Neopian Health, brought to you by the Neopian Hospital: diagnosing treatments since 1999 and doing nothing about them.